What happens when a half-blind weremole girl falls for a scarred werebear guy? A match made in furry, dirt-caked heaven. Mostly. Isaac Abrams is leaving Grayslake. He’s tried, lord how he’s tried, to settle into life in Grayslake after the birth of his niece, but it’s not happening. He’s been home for a year, and it’s been 365 plus days of women looking past him and flat-out pretending he doesn’t exist. The battle with the hyenas didn’t just ruin his face, it ruined his chances at finding a mate in his hometown. So, he’s leaving. Or he was leaving until one day a lush, curvaceous weremole wanders into his half-packed house with that damned peeing dog of hers…it’s a good thing she’s so gorgeous. Maybe he will stay—stay and keep Kira Kolanowski all to himself. Well, once he kills everyone who’s trying to kill her. Isaac Abrams is the Grayslake town healer. While he loves the town, clan and family, he just can’t take the pity looks any more. In a fight with werehyenas that took place in one the first book, he wouldn’t allow anyone to tend to his own wounds until he was done healing everyone else that needed it. It left him scarred. Now, everyone in the town sees nothing but the scares. He wants nothing more than to have a family like his brothers have, but he will never get it in Grayslake where people still remember what he used to be. So he is going to move to a new territory to help that territory’s aging healer. Kira is a half weremole (this a new shifter for me). She is half-blind and has a good for nothing guide dog. She grew up in a terrible territory where she wasn’t treated too bad until she turned eighteen. Then things changed. Her half-brother started torturing her. She became the guinea pig to test the poison that the shifters were using on the other shifters. When she was finally able to run, she ran to Grayslake. Good thing too, since that is where she meets her mate. 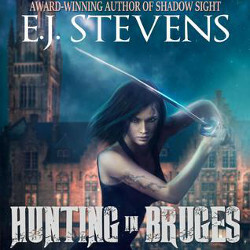 This is yet another book in this series where either the hero or heroine (or in this case, both) are damaged in some way. The author likes to write stories about how her characters can overcome these issues and still have that happy ever after. She also likes to write about how outside prejudices can affect both the hero and heroines in her story, and how it is even worse when it is family showing those prejudices. Ty, the clan leader and the oldest brother of all the heroes in these books, has been quite the jerk in several of these books. He either hasn’t stood behind the brother that was hero of that story and let another brother treat the heroine poorly, if not do it himself. Well, that comes to a head in this story when the Abrams’ mother and father spend more time in the story. They chastise their sons for how they are treating the others. They almost lost their youngest son in the previous book and they aren’t about to go through that again. I like how this author takes on tough topics such a prejudices with a sense of humor that isn’t tasteless. She has done this in pretty much every book so far in this series. I’ve really enjoyed them. I don’t feel like I’m being preached to about these topics. It does make me stop and think about how these things happen even within family. I’ve really enjoyed the stories. I actually laughed when I read the heroine in this one is a weremole. That alone is almost enough to get me to read this. 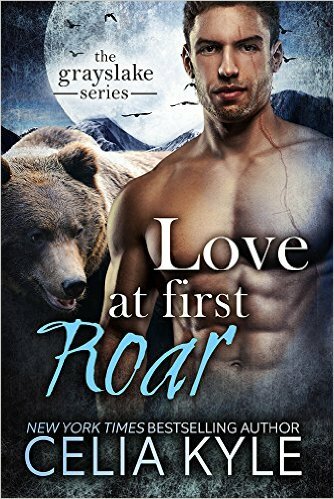 I think I’ve randomly read one story in this series (Love at First Roar) and liked the world. I’ll have to check this one out. I know, right?? The guide dog is hilarious. Worse guide dog ever. There are some tough story lines in this series, but I love how the author mixes the darkness with humor. Yeah, Kyle does a good job of mixing humor and darkness. I think there’s only been one book by her that really didn’t work for me at all. True. I’ve gotten them confused. I started reading book three before book two and they were talking about a character I did know. I stopped and picked up the other. I already owned them all, so it was easy, but yea. This is the only series I’ve read by her. I will admit that some were better than others, but I’ve enjoyed all of them so far. 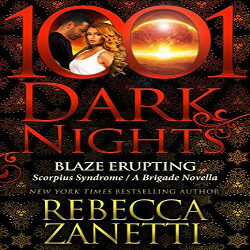 I plan to try another shifter series at some point after this one. oh this sounds really fantastic!! I have this author on my tbr but have yet to read her. Which is odd since she is the type of author I have a feeling I would love to read. I really admire authors that bring difficult topics into books like this. You have me really excited for this one. Great review. She does take con difficult topics. An earlier one is basically about interracial dating (or in this case species). It was really well done. I hope you enjoy. I’ve really enjoyed it so far. I love that she got the scars on the cover. He got those in the first book battling with hyenas. It is a big part of who he is now. That is a special talent to present a hard topic with humor- and not feel like it’s soapboxing. A weremole! I love when authors put unique shifters in. I do too. Not many that I’ve read have. Eve is the best at it. This series, up until this character, has been bears, wolves and hyenas. This author has done a great job with tough topics, each book has had something that was tough in some way. Yet the stories are still funny too. This is a fun, but tough series because it tackles hard issues. I recommend it. I know, a weremole!! That one caught me off guard, but I loved it. She was great. I’ve really enjoyed it. I love how she tackles hard issues, but still has some humor in the stories. I hope you enjoy. A weremole and a good-for-nothing guide dog? *snort* That’s definitely a new breed for me! I’ve really enjoyed this series. The author tackles tough topics, but yet it is a fun series too. Just reading that little bit about Kira in your review just breaks my heart! To be treated by your own brother like that! Sounds like Isaac’s brother is not a lot better either. Sounds like a great read though. This has been a great series, though there are some really tough storylines. Personally, I think the tough content only makes the stories better. I hope you get a chance to try them sometime.